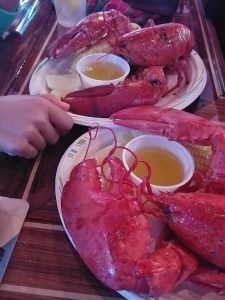 Trader Ed's was created with the sole purpose of providing the finest entertainment and casual dining in a waterfront setting on Cape Cod's scenic Hyannis Harbor. Thursday -- 5-9pm - (June, July, & August) Complete Lobster Dinner or Lobster Roll only $14.95 - (Call 508-790-8686 to reserve) Live entertainment 5-9pm. Friday -- ALL DAY Fish & Chips only $12.95, 5pm - Live Entertainment, 9pm-1am - DJ, Dancing Under The Stars! Saturday -- 5-9pm - Live Entertainment, 9pm-1am - DJ, Dancing Under The Stars! When nighttime rolls around Trader Ed's really starts to heat up. Dance the night away to some of the best bands from Cape Cod and Boston against the backdrop of a moonlit ocean and a parade of boat lights fading into the darkness. 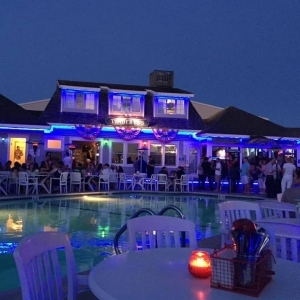 Trader Ed's was created with the sole purpose of providing the finest in food and entertainment in a waterfront setting on Cape Cod's scenic Hyannis Harbor. Trader Ed's presents some of the best live entertainment from Cape Cod to Boston. We are one of a very small number of waterfront nightclubs on the Cape. Hope to see ya soon. Lobster dinner with Live Entertainment Special.